"Renowned American singer-songwriter Simon Joyner first came to prominence during the lo-fi movement of the early ’90s alongside contemporaries like Will Oldham, Peter Jefferies, the Mountain Goats, Smog and Alastair Galbraith. Joyner was championed early on by the late British DJ John Peel, who famously played Joyner’s 1994 LP, The Cowardly Traveller Pays His Toll, start to finish on one of his BBC programs, making Joyner more well known overseas than in his own country. Considered a forefather of the Omaha music scene, he’s released critically acclaimed albums on various independent labels every few years for over two decades. He keeps a low profile and tours only occasionally, spending most of his time working and raising a family, allowing writing and music to remain an artistic outlet rather than an occupation. 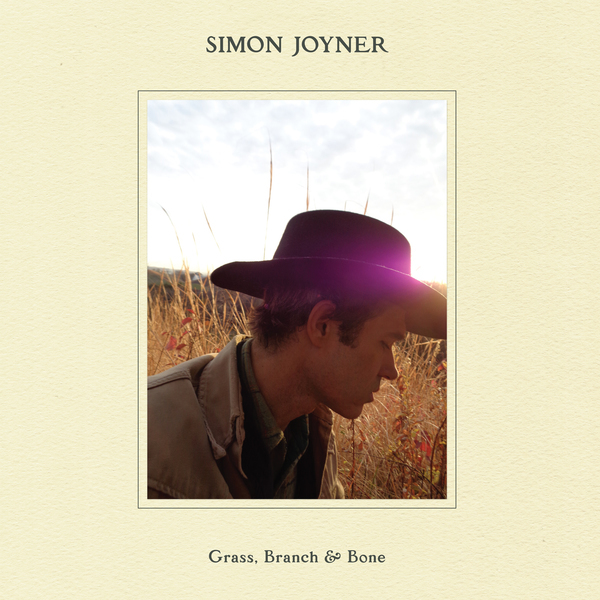 Grass, Branch & Bone is Joyner’s thirteenth proper album and a sonic departure from 2012’s Ghosts. While that record was a double-disc collection of dark, dissonant songs confronting death and loss in the vein of Neil Young’s Tonight’s the Night, this new one is sparse by comparison, running with the likes of other singer-songwriter outcast aftermath albums like Dylan’s John Wesley Harding, Gene Clark’s White Light, David Blue’s Stories, Jerry Jeff Walker’s Five Years Gone, Townes Van Zandt’s Our Mother the Mountain and Cohen’s Recent Songs. It’s a natural progression—after a funeral, one takes stock and reflect upon his or her own life. Grass, Branch & Bone is a song-cycle of short stories about time and memory, full of people the listener has known and even may have been. “Pound for pound Simon Joyner is my favorite lyricist of all time. He has shades of all the greats (Van Zandt, Cohen, Dylan) but exists in a space all his own. 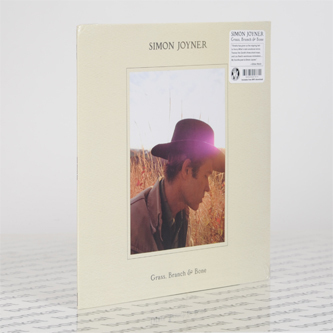 Since I first heard his music at the tender age of twelve not a year has passed that I haven’t waited for and been rewarded with an amazing Simon Joyner release of one kind or another. This year is no exception. He truly is an American songwriting treasure. It is my hope that more people will discover his music and share in the unique joy that it brings.” —Conor Oberst"